A big conference hall for a big topic: the education of book conservators. 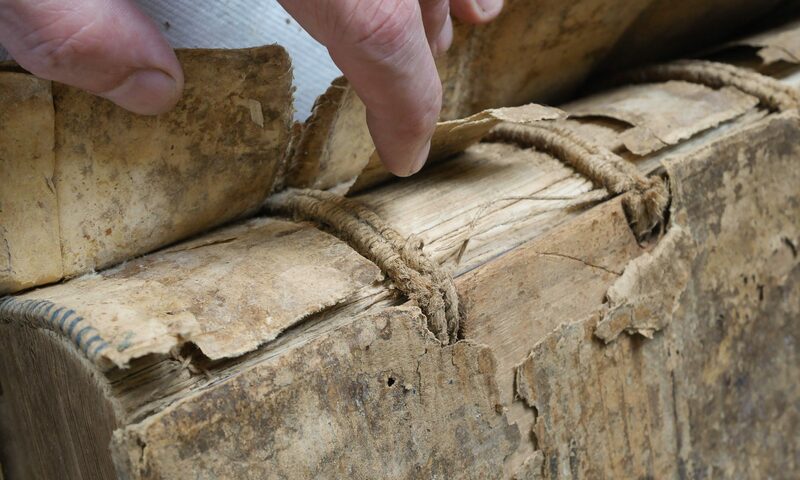 The education of book conservators is a perennially debated topic, and has regained urgency with the demise of the Texas Program, previously the only program to grant an certificate of advanced studies in book and paper conservation. The current economic climate is tough for a generally perceived ‘luxury’ like conservation: many labs have suffered other budget cuts, hiring freezes, conservators with jobs are reluctant to leave them, conservators without jobs are having difficulty finding one. The funding for the training of Library and Archives conservators is one bright spot, having recently received a major boost from the Mellon Foundation by funding the establishment of pilot programs for the training of library and archives conservators in the three art conservation programs.